Lots of plugs this week so pay attention. 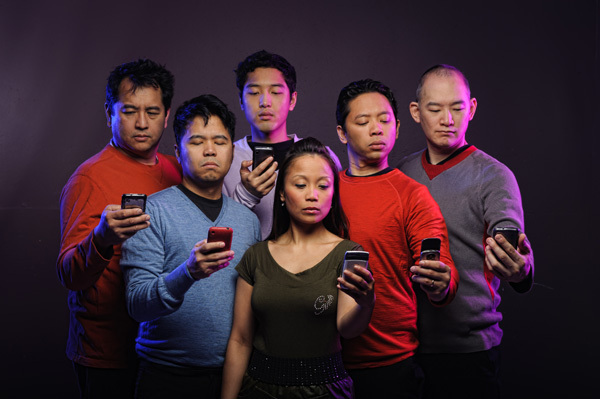 For residents of the 416, Asiansploitation (who may possibly be our siblings from several different sets of ethnically diverse parents) are presenting their latest collection of funny stuff: Asiansploitation: The Text Generation. The Godfathers of Asian-American comedy are at it again. Meet the 18 … er, Whitey Mountain Warriors as Race-Bending gets a timely smack down! Who’s the cover boy for this week’s Georgia Straight? Why it’s Mike Unger, writer, actor, sketch comedian and bow-tie aficionado, taking tennis of the table out of the rec room and into the streets. This entry was posted on June 14, 2013 by assaultedfish. It was filed under Cool, Plugs, Video and was tagged with 18 mighty mountain warriors, asiansploitation, david henry hwang.